As per a chorus in the Eric Hollies Stand cribbed from Three Lions and directed at Aaron Finch, Australia are going home. That they are doing so has less to do with damp English weather than the verve of the home side, personified by the pace of Mark Wood, the guile of Adil Rashid, the leadership of Eoin Morgan and the raw power of Ben Stokes. 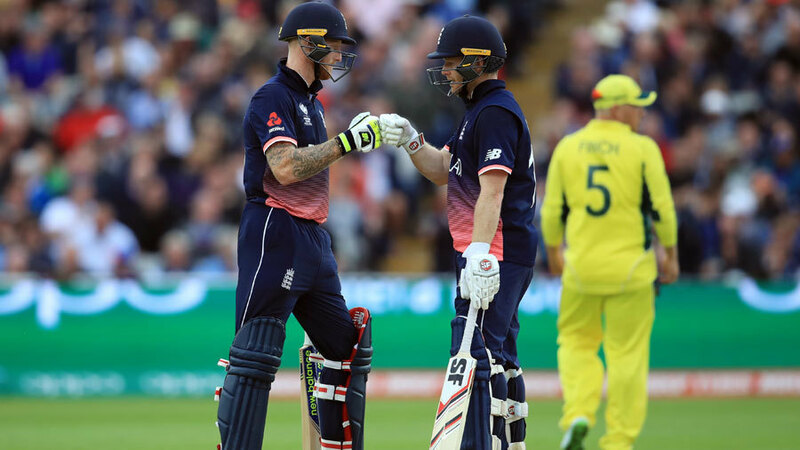 This was a meeting between a confident, aggressive England favoured to lift the Champions Trophy and an out-of-season Australia playing their first completed match of the trip. With the bat and then the ball, Steven Smith's side hinted at their full capability, but were unable to follow through as Morgan's men proved much the more resilient team when challenged. Having themselves knocked out New Zealand, a delighted Bangladesh are into the semi-finals.